Iktinos Hellas, a pioneer in the field of marble, and Spiros Soulis, a prominent architect, joined forces to change the way we look at this precious material and promote Greece’s heritage as its place of origin. We were requested to create a new brand for this exciting venture and make sure that people will experience it in the most appropriate way. 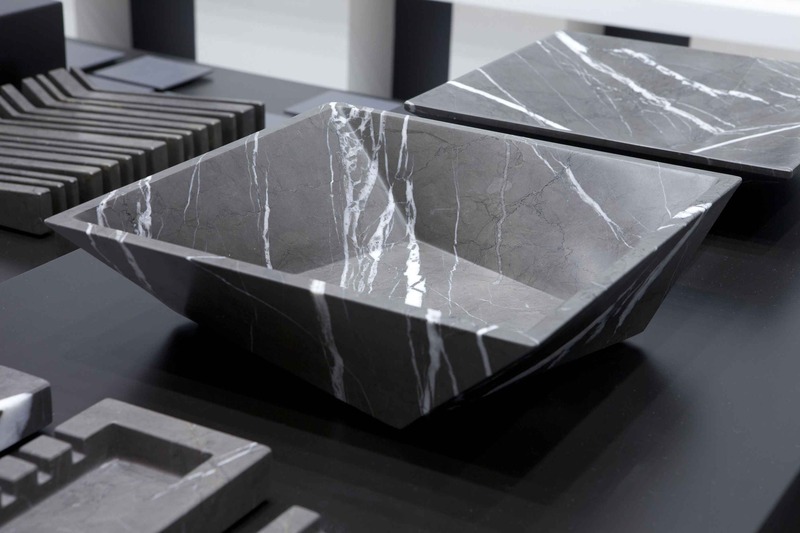 Employing as tools a profound knowledge of the material and top-quality contemporary design, the new brand demonstrates the inexhaustible possibilities of marble, supplying new forms and developing innovative uses. 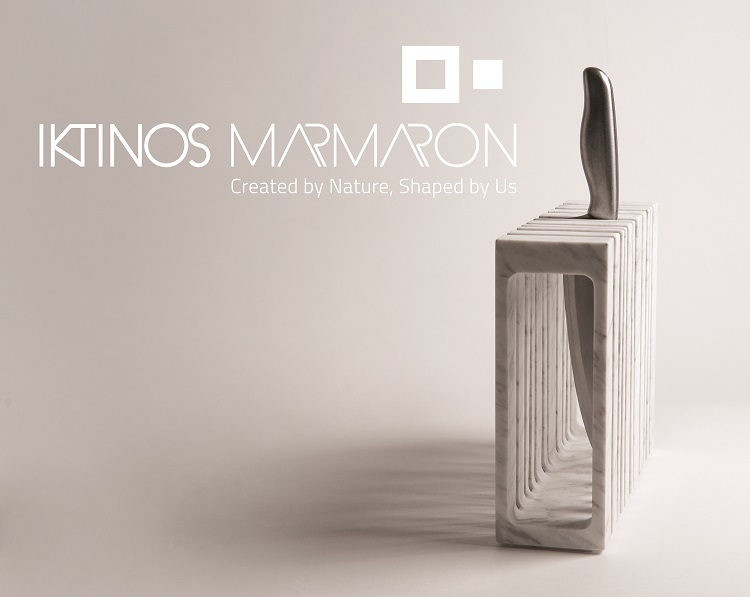 Through ranges of objects of high aesthetics value, avant-garde applications, integrated design and construction of furnishings and premises, entirely made out of marble and natural stone, the new brand invites you to change the way of looking at this precious material and discover its contemporary face. The philosophy of design is inspired both by the natural properties of the material, such as resilience and plasticity, and by the authentic values sculpted by Hellenism: the measure, reason, and simplicity. 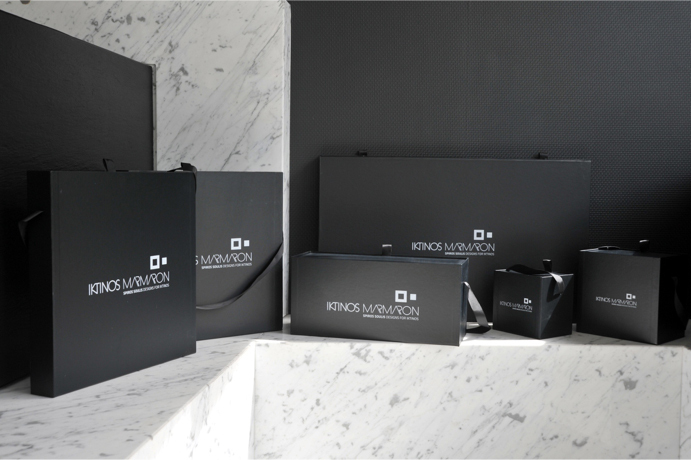 We developed the full brand identity of Iktinos Marmaron, including the logo, the house style and the main taglines. We studied the identity’s application on the brand’s showroom -fascia, windows and interiors - and we created various pieces of brand literature and a modular packaging system that can accommodate each and every design object of the firm’s extended collection. Our main effort was to glorify the marble as a material and Soulis' fabulous designs without overshadowing any of their attributes. 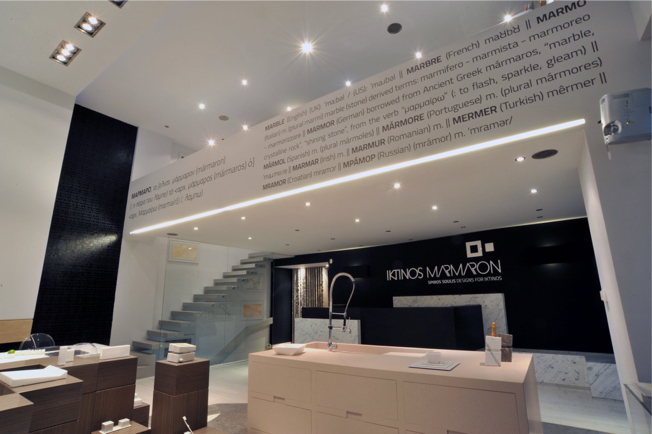 Iktinos Marmaron was accepted very positively by the market and it has fast extended its footprint in the international markets. 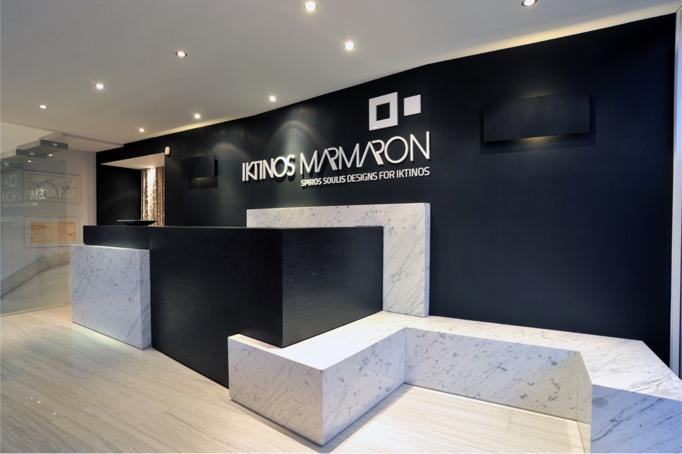 Marble has made a comeback in the international design and Iktinos Marmaron has already been acknowledged as a significant contributor in this trend. *We'd like to express our gratitude to OR DESIGN for their great contribution in the structural design of the packaging system.